For a log analyst, the implications of folds and faults are more important than the creation of mere mountains. Most petroleum of economic consequence is found in a trap - a set of structural and stratigraphic conditions in which oil or gas can get in but can't subsequently get out of the rock. 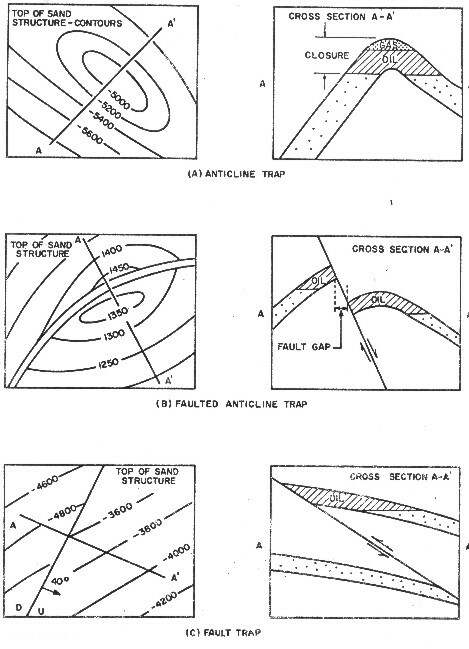 Many types of traps are created by folding and faulting and are called structural traps. The traps created by changes in rock type, without folding and faulting, are called stratigraphic traps. Obviously, combination structural-stratigraphic traps are possible, and all stratigraphic traps exist in a regional structural setting, which may influence the hydrocarbon content. Rocks which form a trap do not always contain hydrocarbons, but all hydrocarbons are contained in some kind of trap. Otherwise they would flow to the surface of the earth and be dissipated into the atmosphere or the oceans. Some oil and gas does reach the surface, and are called seeps. Most early oil discoveries were located because of a seep at the surface. 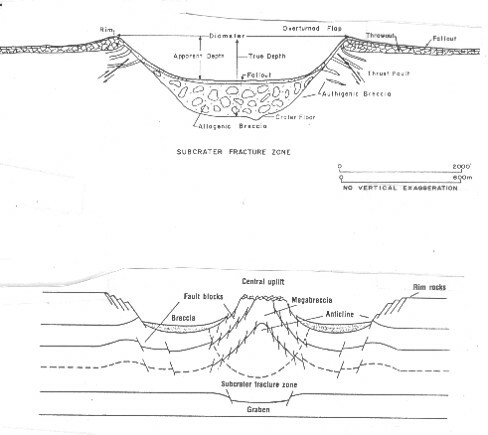 The trapping mechanism is one of the most important aspects of petroleum geology. For example, if porous rock has been folded upward into a dome or anticline, oil and gas may collect at the top of such a structure. It may be kept from escaping by an overlying nonporous layer of rock. Traps can also be formed by faults, which allow a porous layer to be thrust against a nonporous layer, thereby sealing in the hydrocarbon. Examples are shown below. Traps filled with hydrocarbons can be rearranged structurally by diastrophic forces, thus un-trapping the hydrocarbons. The presence of oil staining or fluorescence on rock samples from depleted reservoirs is relatively common, indicating that trapped oil has been released by geologic forces on numerous occasions. Stratigraphic traps are created by the nature of the depositional sequence itself and do not depend on deformation of the rocks. For example, a sandstone that may have once been an old beach usually tapers off to a wedge ending between two layers of rock that are not porous. If one edge of the wedge is high relative to the other, oil and gas could collect in the updip edge and could go no further. Ancient river valleys, sand bars, beaches, and delta fronts can be sealed by impervious rock above and below so as to create traps of many varied shapes and sizes. Some traps have both a structural and a stratigraphic component, such as reef and salt dome traps. The fluids trapped in a reservoir are segregated by gravity. Since gas is lighter than oil, it will rise to the top of the trap. Some reservoirs do not contain sufficient gas to create a separate gas cap. Since gas can be dissolved in oil, most oil wells produce some dissolved gas. Water is heavier than conventional light oil, so the free water in the reservoir will be forced to the bottom of the trap. In heavy oil wells, it is possible to have water on top of the oil column, or even interbedded within the oil, depending on the oil gravity and the timing of the oil degradation. The vertical relief of anticlines varies, ranging from a few feet to several thousand feet. Some of the largest oil fields of the world are anticlinal traps. The Abqaiq pool in Saudi Arabia is a large anticline, 25 miles long and 6 miles wide, This structure produced about one billion barrels of oil in 8 years. The Abqaiq anticline contrasts sharply with the small Wilcox structures of central Oklahoma that cover only 100 acres. Asymmetrical anticlines are also formed by lateral compression. Typically these structures are elongate and often occur in trends that parallel the major uplifts of the geologic province. Many of the surface anticlines in the Rocky Mountains fall in this category. Frequently the center of the surface anticline forms a topographic low where erosion has cut through otherwise resistant beds, which have been fractured by the folding process. The resistant beds form prominent scarps or rim rock around the basin that are easily recognized. 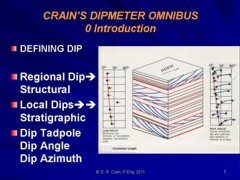 The axis of the asymmetrical anticline may shift with depth. As a consequence, the deep seated fold may not lie directly under the surface anticline. Many of the larger anticlines of the world are faulted. The fault patterns range from simple to exceedingly complex, such as those found in the Rocky Mountains and California. Production is often confined to the upthrown block, but this does not entirely eliminate the downthrown side of the fault as a potential trap. In this type of structure, the role of faulting appears to be of minor importance in controlling accumulation on the crest of the fold. Faulted anticlines occur in nearly all geologic provinces and can usually be mapped by geophysical surveys. The Gulf of Suez fields in Egypt is a classic faulted anticline structures. Overthrust anticlines are formed by compression and occur along the edges of major uplifts as narrow folded belts. The geology in these thrust belts is very complex, but some structures are prolific and may develop into major fields. Turner Valley in the Alberta foothills of Canada is a classic example of an overthrust fold and has produced 100 million barrels since its discovery in 1915. Normal or gravity faults control production in many oil fields in most of the geologic provinces of the world. This type of trap occurs wherever the region has been folded or uplifted. Often the trap is formed by a combination of both folding and faulting. Fields can occur in narrow belts along a fault system for hundreds of miles. Good examples of gravity faults occur in the Niger Delta. Fault planes formed by gravity or tension usually dip at 45-60 degrees. 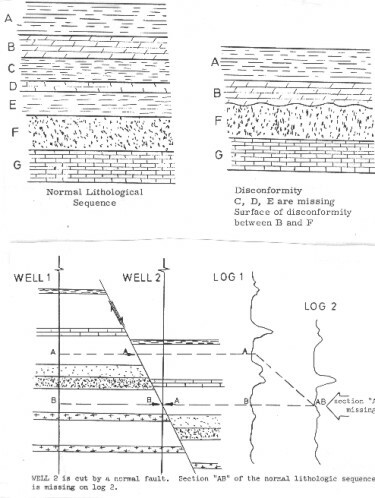 Invariably, wells that pass through a normal fault drill an abnormally short section of sediments. The thickness of the missing section is equal to the throw of the fault. This is a good criterion for locating the fault if there is enough well control. In the absence of sufficient data, it is easy to mistake the missing section caused by faulting for an erosional surface, which also creates a missing section. Reverse faulting occurs in areas that have been subjected to compression. Wells that pass through these fault planes will normally repeat section, going from older beds above the fault into younger beds below the fault. Reverse or thrust faulting occurs around the flanks of mountain uplifts where horizontal compression plays a dominant role in the forming of local and regional structures. Faulting often breaks an oil field into several separate pools or fault blocks. The faults may parallel each other, or they may intersect to form several traps. The fault patterns can be related to the regional and local geology and drilling along these trends is usually more successful than random drilling. An example is the Austin Chalk play in the southern USA, where production is greatly enhanced by fractures associated with minor faulting. An example of a field with many semi-radial faults is Hibernia, offshore east coast Canada. Complex faults are typical of salt domes. A salt dome field may produce from 10 or 20 separate reservoirs, or even more because of the faulting and geometry of the flanking sandstone layers. A simple example is given at the right. The caprock is a reservoir in certain Gulf Coast fields. Both gravity and seismic surveys are extremely useful methods of searching for salt dome features. 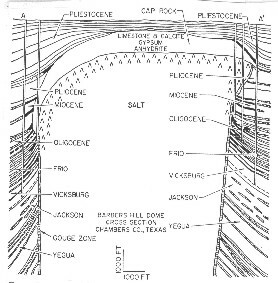 Geologists suspect that many of the structural features in east Texas and north Louisiana are also related to deep seated salt movement. Salt solution plays an important role in other areas of the world, forming traps across the tops or flanks of un-dissolved salt. A striking example involves a map of the oilfields of Saskatchewan - the vast majority form a semicircle around the edge of the major salt solution basin in the Devonian, nearly 400 miles in diameter. Impact craters, shown below, also form structural traps. They are usually small and difficult to find, but several are known in Saskatchewan, North Dakota, and other areas of the USA, in formations of various ages. Impact crater traps have hundreds of small faults and complex structure. Regional dip superimposed on such a trap makes the accumulation of hydrocarbons exceedingly complicated.